Today’s post is a perfect combination of elegance and charm. 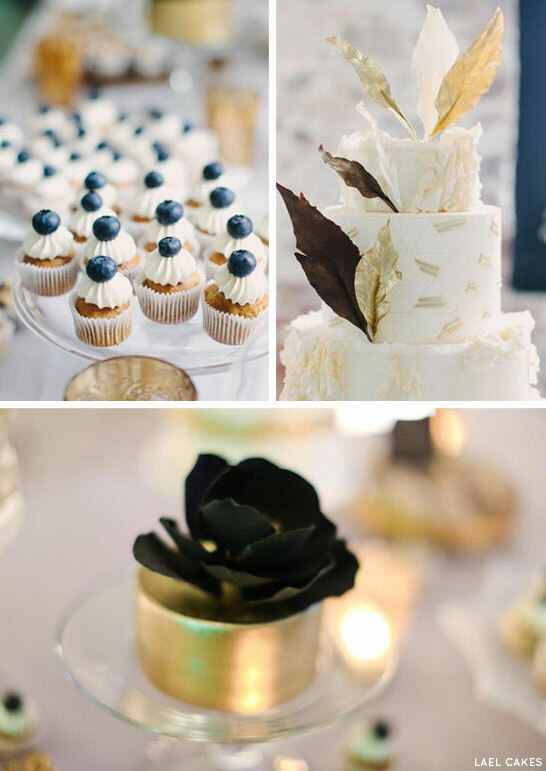 A dessert table featuring gorgeous cakes, tempting mini desserts and an abundance of style! Emily of Lael Cakes, located in Brooklyn, created this display for The Cream Event NYC and goodness… did she go for fabulous or what? Emily pulls together several of today’s hottest trends including chevron, gold and feathers into one spectacular display. 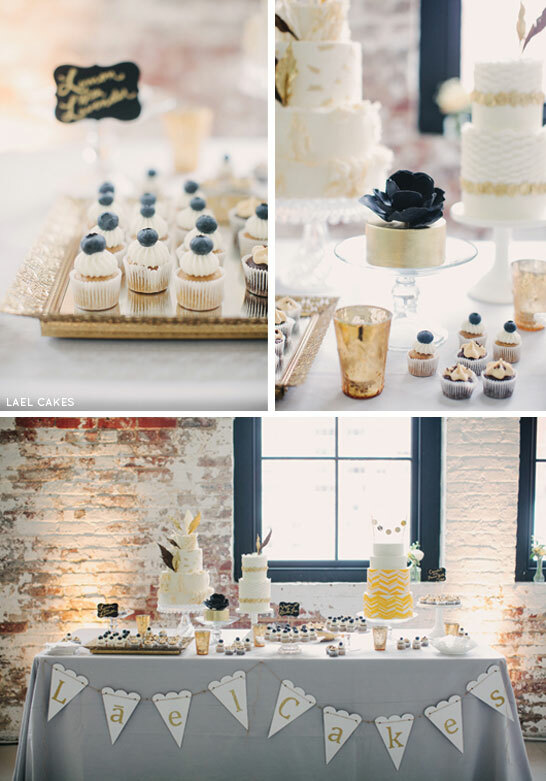 There’s a whole lot to love about this Chevron & Gold Dessert Table… so I’ll let the stunning photos take it from here! Oh be still my heart! I just had to start with this incredible chevron cake! 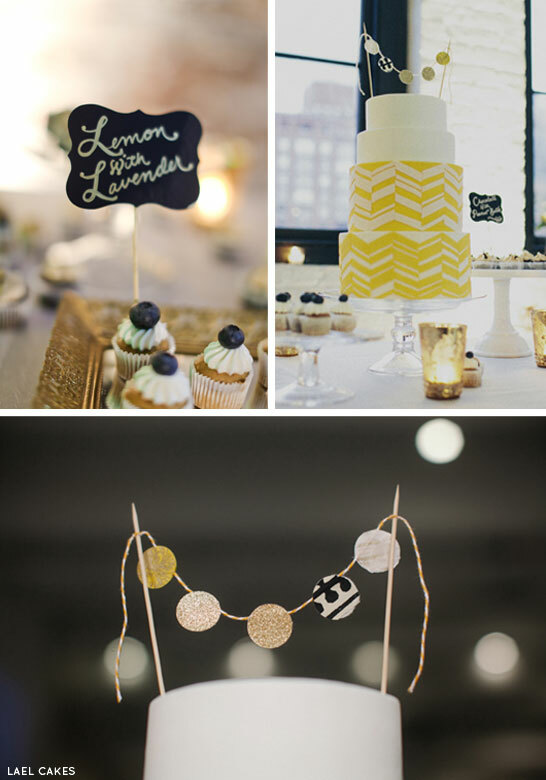 I love the mod twist on the traditional chevron pattern, paired up with sleek white tiers and a glitter pennant topper. If you think that’s good, just wait until you see the rest of this display! As if we weren’t already weak at the knees, here comes along a second cake beauty. 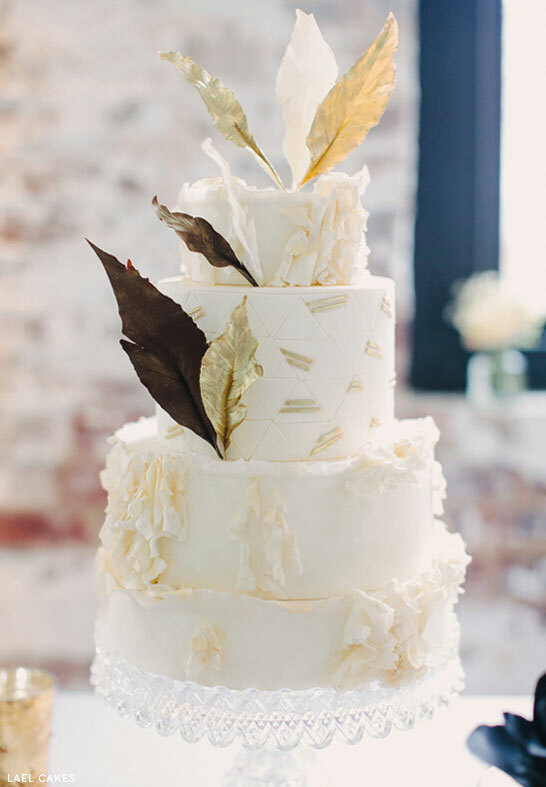 Ruffled and romantic with a subtle geometric pattern on the second tier which ties nicely to the chevron cake. Not to mention the small touches of gold and fabulous feathers! 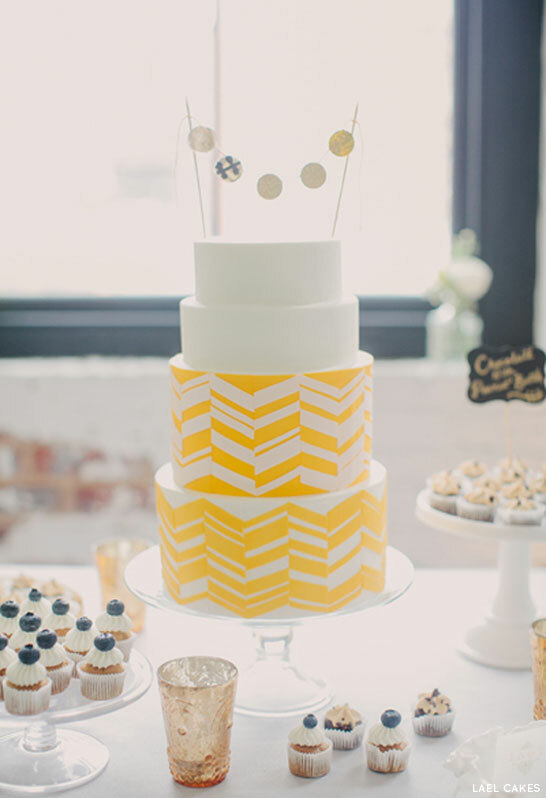 A big thank you to Emily of Lael Cakes for sharing her incredible Chevron & Gold Dessert Table with us today. It is innovative, inspiring and simply stunning! 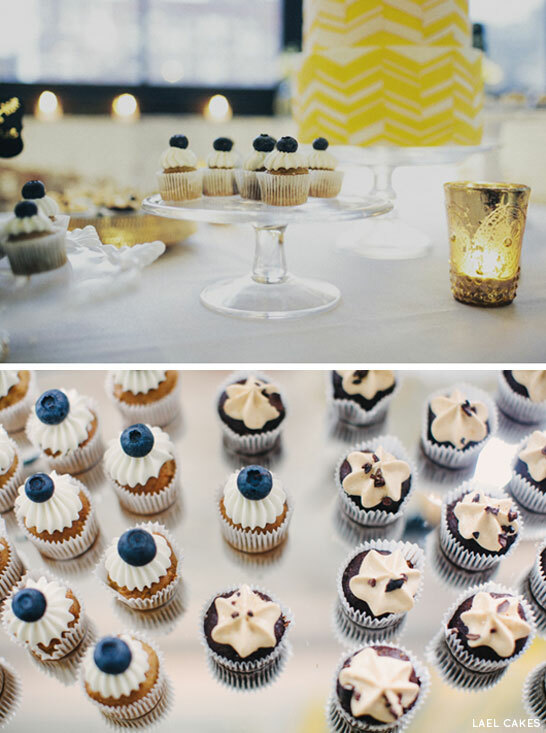 Perfect whimsical modern display,I wish I cloud taste those gluten-free cupcakes :). This is down right gorgeous!! 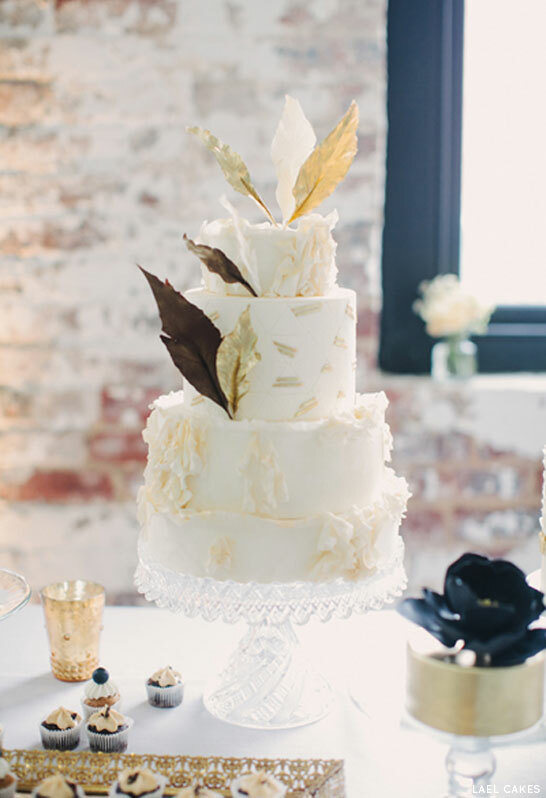 the feather cake is absolutely divine!